On-Site registrations are subject to an additional $50.00 fee per registrant. 1. The attendee will verbalize understanding of requirements for delivery of patient rights. 2. The attendee will demonstrate knowledge of assessment, care planning and coordination of care requirements. 3. The attendee will learn the rationale behind changes to QAPI requirements, and what changes the agency needs to implement in order to be compliant with regulations. 4. The attendee will demonstrate knowledge of the requirements for the organizational environment of the home health agency. 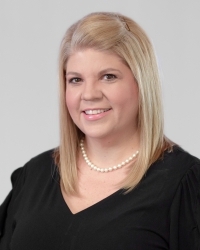 Jennifer Gibson Osburn is a Senior Clinical Consultant at Axxess, where she uses her expertise in CMS regulation, ICD-10-CM coding and OASIS guidance to facilitate the growth of home health agency staff nationwide. She presents seminars, webinars, on-demand content, and technical writing as a sought-after expert in the home health industry circuit. In addition to speaking publicly, Jennifer is a regular blogger for home health publications. Speaking and training engagements include the 2018 NAHC Annual Conference, The Joint Commission’s 2018 Mosaic Home Health Surveyor CoP Training and numerous states’ home health associations. Jennifer is skilled in; Home Health Conditions of Participation, ICD-10-CM, OASIS D, Emergency Preparedness, Documentation Requirements, HHPPS/PDGM, Nursing Education, Physician Relations, and Employee Training. As a former software implementation specialist with Axxess, and with her 23-year career in home health which spanned field nurse to Administrator, she assists agencies with the integration of policies and implementation of software and data analysis all over the US. Jennifer has a teacher’s heart and sees the value of providing quality education to the home care industry. This program has been designed to meet the continuing education requirements for the Minnesota Board of Nursing and the Minnesota Board for Occupational Therapy for contact hours. Application has been made for the Minnesota Board of Physical Therapy for Category-1 contact hours. A link to access the presenter handouts will be sent one week prior to the workshop, if applicable. Cancellations must be in writing and received by MHCA on or before Wednesday, January 16, 2019 to receive a refund less a $25 cancellation fee (per registration). No refunds for cancellations made after the cancellation deadline or for no-shows.